This fun and creative ribbon gives you two complimentary colors on one roll! Two toned paper raffia ribbon is easy to use and makes great bows! These adorable ribbons come without a core, and works best if you pull the strand up and out from the center of the spool. 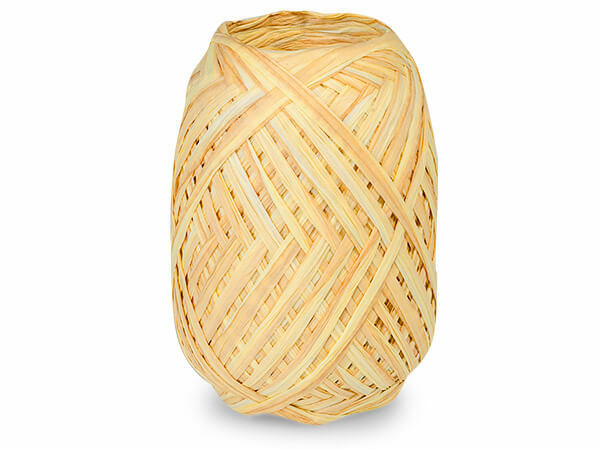 We have Christmas raffia colors and many choices for everyday use. Each strand will unfold to about ½" wide, if you like a wider ribbon. Pair this ribbon with a cellophane bag for an easy and adorable gift bag or favor bag. You can also tie the perfect size bow on the handle of one of our paper shopping bags as the perfect finishing touch.